Ameren Missouri’s second planned wind facility in the state is one step closer to producing renewable energy. This morning, the Missouri Public Service Commission voted unanimously to grant Ameren Missouri, a subsidiary of Ameren Corporation (NYSE: AEE), a certificate of convenience and necessity to acquire, after construction, an up to 157-megawatt (MW) wind facility to be located in Atchison County. 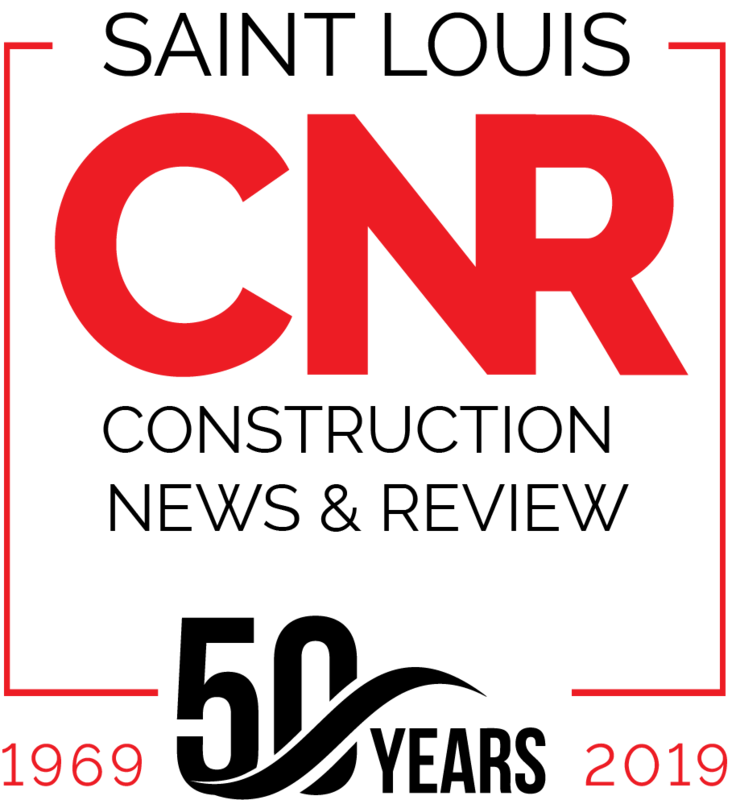 Several milestones remain for the northwest Missouri facility, including obtaining a timely and acceptable Midcontinent Independent System Operator transmission interconnection agreement. The Atchison County facility, along with the previously-announced 400 MW facility under development in northeast Missouri represent an approximately $1 billion investment and are expected to be in service by the end of 2020. These planned additions in renewable energy will help Ameren Missouri achieve its goal of reducing carbon emissions 80 percent by 2050. Ameren Missouri has been providing electric and gas service for more than 100 years, and the company’s electric rates are among the lowest in the nation. Ameren Missouri’s mission is to power the quality of life for its 1.2 million electric and 127,000 natural gas customers in central and eastern Missouri. The company’s service area covers 64 counties and more than 500 communities, including the greater St. Louis area. For more information, visit Ameren.com/Missouri or follow us on Twitter at @AmerenMissouri or Facebook.com/AmerenMissouri. 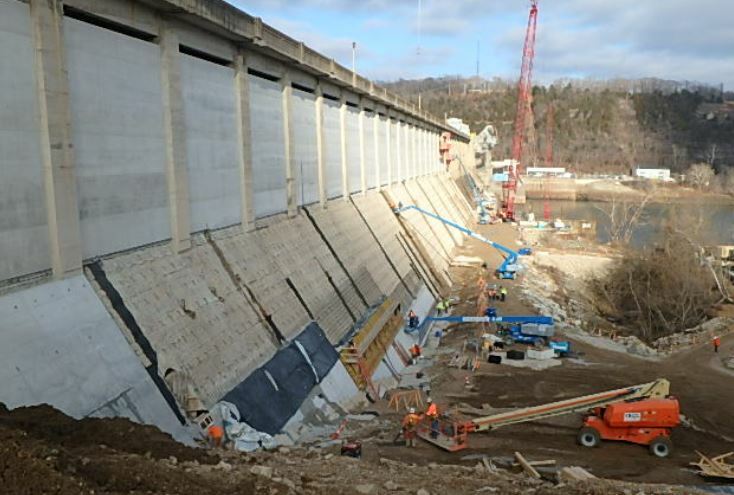 Construction crews have poured the final yards of concrete and are completing finishing touches on Ameren Missouri’s $53 million reliability upgrade to the historic Bagnell Dam, a major source of clean energy for the state. 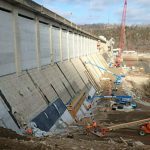 The project includes installation of a series of new anchors and concrete on the downstream side of the dam, which improves overall safety, efficiency and reliability of the 85-year-old structure. The project is finishing ahead of schedule. 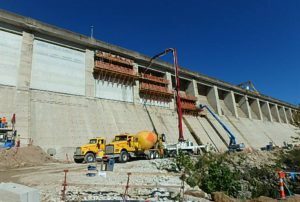 Initial work began March 2017 and included the removal of timeworn concrete from the surface of the dam. Crews then installed 67 post-tensioned anchors, strengthening the connection to bedrock. More than 66 million pounds of new concrete was poured to further weigh down the dam. This is the first major structural update in more than 30 years and builds on Ameren’s expertise in enhancing dam safety. Ameren Missouri hired Missouri-based MC Industrial, a McCarthy Holdings company, as the project’s on-site general contractor. Before starting the project, the construction plan was reviewed and certified by independent engineers as well as the federal government. Throughout the project, Ameren and MC Industrial worked closely to carefully plan the construction schedule and avoid major disruptions to local residents and tourists. Bagnell Dam houses Ameren Missouri’s Osage Energy Center. In 2017 it produced more than 624,000 megawatt-hours of energy, supplying approximately 52,000 homes with renewable energy for the entire year. 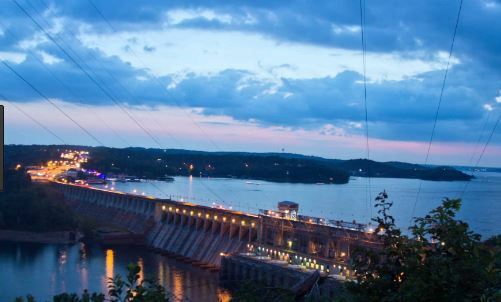 MC Industrial was selected by Ameren Missouri as general contractor for the Bagnell Dam Anchoring project, a $53 million investment in major structural and anchoring upgrades. 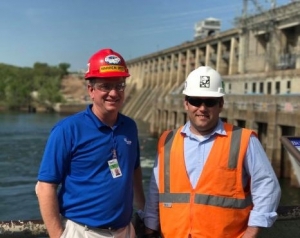 As a significant hydropower project, the scope of work demanded expertise in heavy civil and major dam rehabilitation to ensure a safe and high-quality outcome, as well as the long-term sustainability of the Bagnell Dam to provide clean energy to the surrounding community. The last major structural update at Bagnell Dam was completed in the early 1980s, when 277 post-tensioned anchors were installed to hold the dam into the bedrock. The Lake of the Ozarks stretches for more than 54,000 acres in southern Missouri. The Bagnell Dam, which created the lake in 1931, holds back 600 billion gallons of water from the Osage River. Bagnell is the largest privately funded dam in the U.S. Besides holding water back for the power plant, the dam facilitates a billion-dollar tourism industry for the state of Missouri. Project team mobilized on site in March 2017 for the 18-month project, and began construction work in April 2017 with the first of three work phases. Project comprised of three parts: new post-tension anchors to help hold the dam to the underlying bedrock; concrete added between the highway piers to add weight to the dam; and a new concrete overlay to replace worn and cracked concrete on the east and west sections. McCarthy Building Companies, Inc. is the oldest privately held construction company in the nation – with more than 150 years spent collaborating with partners to solve complex building challenges on behalf of its clients. More information about the company is available online at www.mccarthy.com or by following the company on Facebook, Twitter, LinkedIn, Instagram and Google+. Ameren Missouri has filed its Charge Ahead program with the Missouri Public Service Commission. 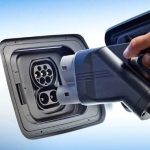 The proposed program encourages electric vehicle (EV) and equipment use among Missouri residents and businesses and is focused on helping Ameren Missouri customers use electricity in ways that provide a broad range of benefits, including reduced emissions, lower overall energy costs and improved productivity. 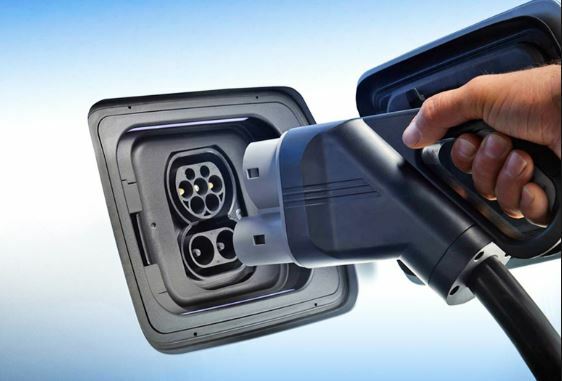 In addition to increasing access to EV charging stations, the Charge Ahead program will offer numerous incentives for Ameren Missouri’s commercial customers transitioning to electric equipment. It also allows for a revision in Ameren Missouri’s line-extension policy, which will make accessing and connecting to the electric grid easier and more affordable for commercial and industrial customers. Charge Ahead also supports Ameren Missouri’s goal of transitioning its energy generation to cleaner sources while ensuring reliability and keeping customer rates affordable. In 2017, Ameren Missouri announced a landmark and forward-thinking $1 billion investment in alternative energy sources. This investment will include building wind turbines in Missouri and surrounding states and result in the generation of 700 megawatts of wind-generated power by 2020. The company also plans to add 100 megawatts of solar-generated power over the next 10 years, with 50 megawatts expected to come on line by 2025. This is Ameren Missouri’s largest-ever commitment to clean, renewable energy. Ameren also is committed to bringing the benefits of electrification to its employees and has installed 80 vehicle charging stations at its campus locations. Ameren Missouri announced today a forward-thinking plan to dramatically increase the amount of wind and solar generation to provide cost-effective and sustainable energy for its customers. 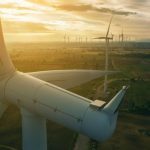 Ameren Missouri, a subsidiary of Ameren Corporation (NYSE: AEE), plans to add at least 700 megawatts of wind generation by 2020, representing an investment of approximately $1 billion. 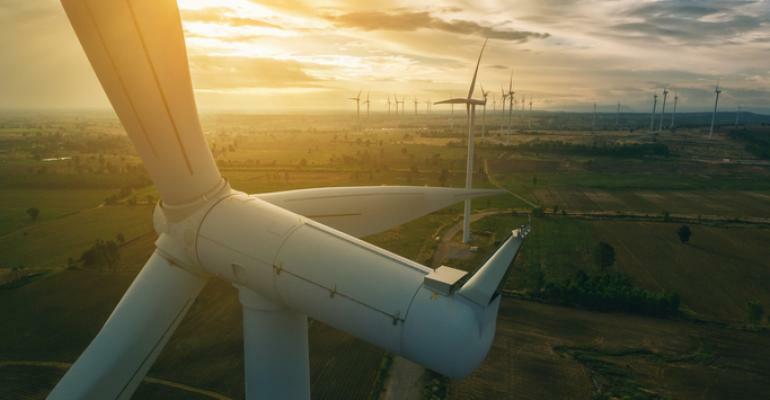 The potential exists to add even more wind generation in the coming years as a result of improving technology and economics, as well as renewable energy initiatives with large customers. The company also plans to add 100 megawatts of solar generation over the next 10 years, with 50 megawatts expected to come online by 2025. The new wind generation is expected to be located in Missouri and neighboring states using American-made turbines. The source, location and cost of the new wind generation is still under negotiation with several developers. The planned generation is expected to be operational by 2020. “We believe it is in our customers’ long-term best interest for Ameren Missouri to own this wind generation,” said Ajay Arora, vice president of environmental services and generation resource planning at Ameren. The addition of 100 megawatts of solar generation over the next 10 years is expected to be developed in multiple phases. Planning is underway on two projects. Earlier this year, Ameren Missouri announced plans to build a solar generation facility at St. Louis Lambert International Airport. That facility is expected to be complete in 2018. A separate project creates partnerships with business customers to locate an Ameren Missouri-owned solar generation facility on their property. Further, the company is establishing a goal of reducing its carbon emissions 80 percent by 2050 from the 2005 level. “We are the first investor-owned utility in the state, and among the first in the country, to announce a carbon emissions goal of this magnitude,” Moehn said. To meet this goal, Ameren Missouri is targeting a 35 percent carbon emissions reduction by 2030 and a 50 percent reduction by 2040 from the 2005 level. Since 2005, Ameren Missouri has significantly reduced emissions, including a 26 percent reduction in carbon emissions in 2016. 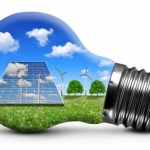 Managing the largest, most comprehensive energy efficiency program in Missouri’s history. The plan consists of a comprehensive portfolio of programs for business and residential customers. The energy savings goal for the current three-year plan is 570,000 megawatt-hours, equivalent to the energy used by nearly 45,000 homes, and representing a carbon-emissions reduction equivalent to taking 115,000 cars off the street. These programs give residents and businesses tools to save money and help make costs more predictable. Retiring over half of Ameren Missouri’s coal-fired generating capacity. This includes retiring the Meramec Energy Center in south St. Louis County by the end of 2022. Addressing the need to transition to a smart energy grid that can support more renewable energy, universal and private solar and customers’ desire for more timely information. 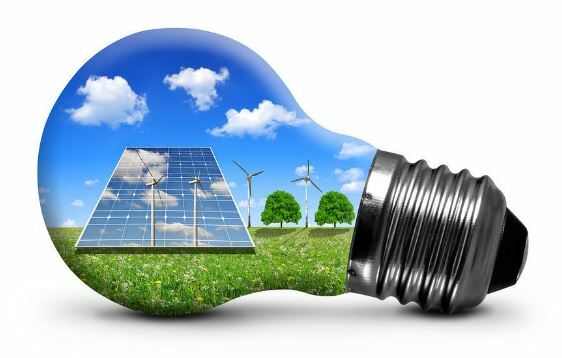 In the next two decades, the energy grid will be the lifeline for cleaner energy connecting hundreds, if not thousands, of small and regional renewable energy generators to the grid in real time while maintaining the energy reliability demanded by customers. Ameren Missouri’s Integrated Resource Plan (IRP), a 20-year outlook that supports cleaner energy in Missouri, was filed today with the Missouri Public Service Commission, and is consistent with Missouri’s Renewable Energy Standard. The IRP, which is filed every three years, examines electric customers’ projected long-term energy needs and describes Ameren Missouri’s preferred approach to meeting those needs in a cost-effective fashion that maintains system reliability. “The IRP is developed with the input of a wide variety of stakeholders and is consistent with Ameren’s goal of transitioning its energy generation in a responsible fashion to ensure reliability while keeping customer rates affordable,” Arora said. In order to add these resources to its generation portfolio, Ameren Missouri is required to seek certificates of convenience and necessity from the Missouri Public Service Commission for projects located in Missouri and to obtain interconnection agreements so that it can use transmission services of the appropriate Regional Transmission Authority. More information can be found at AmerenMissouri.com/IRP. Ameren Missouri has been providing electric and gas service for more than 100 years, and the company’s electric rates are among the lowest in the nation. Ameren Missouri’s mission is to power the quality of life for its 1.2 million electric and 127,000 natural gas customers in central and eastern Missouri. The company’s service area covers 64 counties and more than 500 communities, including the greater St. Louis area. For more information, visit Ameren.com/Missouri or follow us at @AmerenMissouri or Facebook.com/AmerenMissouri. MC Industrial, Inc. , a McCarthy Holdings company, and Ameren Missouri recently announced the official launch of phase one in reconstruction work of the Bagnell Dam, located in Lake of the Ozarks, Mo. Installation of 68 new post-tension anchors to help hold the dam to the underlying bedrock. New concrete added between the highway piers to add weight to the dam. New concrete overlay to replace worn and cracked concrete on the east and west sections. Construction work will go by section of the dam, with most of this year’s activity taking place on the west side of the dam. Construction work has been scheduled for weekdays during daylight hours to maximize convenience to lake-area residents and vacationers. Ameren Missouri has been providing electric and gas service for more than 100 years, and the company’s electric rates are among the lowest in the nation. MC Industrial is a national construction firm, dedicated to the highly-specialized needs of the industrial marketplace. Ameren Missouri is taking off on a forward-thinking plan to increase the amount of solar energy available to customers. Today, the company announced plans for a new solar generation facility to be built at St. Louis Lambert International Airport. Energy produced there would be available for its customers through the Community Solar Program. The plan calls for Ameren Missouri, a subsidiary of Ameren Corporation (NYSE: AEE), to build up to a one megawatt facility at Lambert. Once the plan is approved by city officials and state regulators, Ameren Missouri customers can sign-up for blocks of solar generated energy. The airport is an ideal location for solar panels. There is an abundance of open land that would otherwise go unused. Panels would be positioned away from runways and out of the line-of-sight of pilots taking off or coming in for a landing. “We’re proud to be a part of this proposed project because St. Louis Lambert International Airport is heavily focused on impactful, environmentally sustainable projects and this is another positive piece that aligns with our mission,” said Rhonda Hamm-Niebruegge, airport director. The program will be open to all Ameren Missouri residential and small business customers. 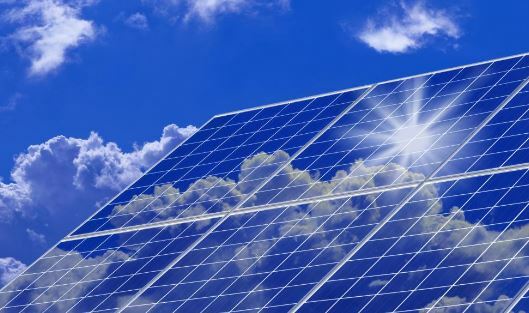 Once the subscription period opens later this year, interested customers can sign up for 100 kilo-watt-hour blocks of solar generation capacity. Customers can subscribe for the equivalent of up to half of their average electric usage based on the previous 12 months’ usage. A limited number of blocks will be made available, at a price yet to be determined. Once the program is fully subscribed, construction will begin. Solar generation could start as soon as next spring. Customers interested in the program can go to AmerenMissouri.com/communitysolar for more information. Ameren Missouri is focused on adding 500 megawatts of new renewable energy generation. In addition to this solar project, Ameren Missouri recently launched a second solar program targeted at businesses interested in hosting solar generation on their property. The company currently operates the 5.7 megawatt O’Fallon Renewable Energy Center, which is capable of producing nearly 8 million kilowatt-hours of energy from the sun’s rays each year.